Nirvana Crystal is a White Widow hybrid that has been re-back-crossed with Northern Light. Two world-famous marijuana strains! Its big sticky buds give off an almost kerosene-like aroma and produce a quick-hitting high. An F1 hybrid, Crystal produces outstanding yields of top quality grass. Its plants are much easier to manicure than White Widow. Crystal was a first place winner of the Dutch Highlife Cup, a renowned marijuana competition, in 2002. OG KUSH crossed with a first generation purple kush auto then reworked through 5 Generations while c.. This Cruze have chosen two of our best mothers, Northern Light and Big Bud. We crossed bo..
RegularBrazilian variety from the Amazon rainforest. 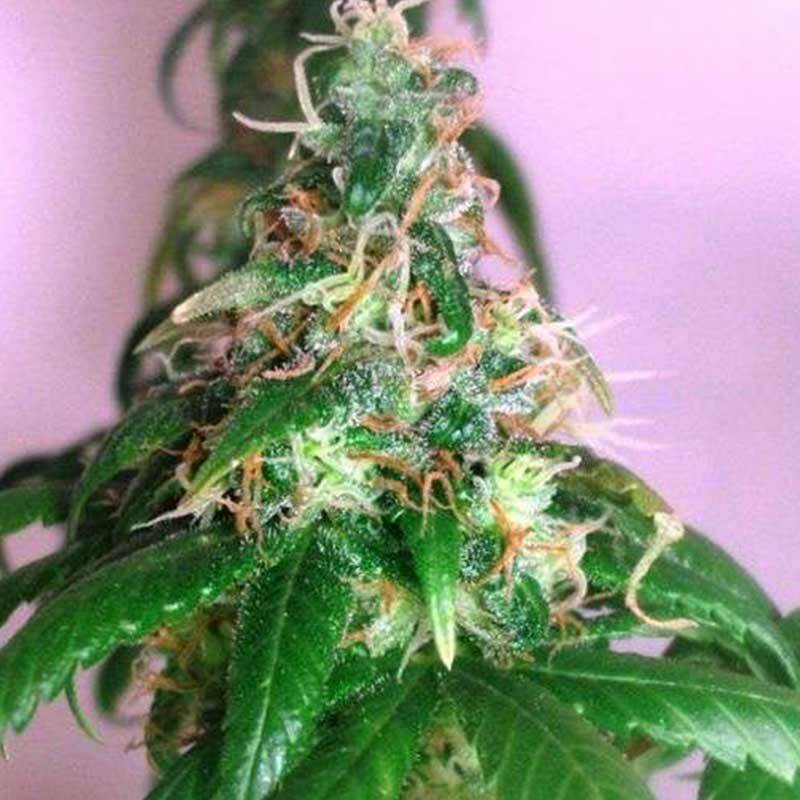 Very lush and vigorous, that he even grow wild ..
Hash Bomb cannabis seeds are an absolute must for hash lovers and medical users alike. A perfect cro..
Kabrales is skunk variety related from inbreeding the Cheese phenotype. It is strong, durable and ea..